Free individual CPR/AED training (without NSC Workbook, DVD and Certification) available at every location that we offer certification, for people who have our coupon printed in the Greenfield Lions Club Family Shopper Gift Books (Tel. 413-772-2800). One coupon good for up to three people per family. We also offer free group CPR/AED training (see below for details). Free Certification program ends July 31, 2019. We reserve the right to cancel classes if no one registers for the (paid) NSC Certification, and will notify you at least 2 hours in advance. Register for the free individual training by sending an email with your name and phone number to [email protected]. Questions? Call (413) 824-9581. At Save Each Life, we believe that everyone should know how to save lives. Around the seventh grade, children learn how the heart works, and they are old enough to understand how to save lives by performing cardiopulmonary resuscitation (CPR). We advocate for the CPR and First Aid training in schools. To help adults with the training, we want to teach life-saving skill to any group (for-profit or non-profit) for free. Each participant will learn CPR, how to help a chocking person, and first aid or pediatric first aid. 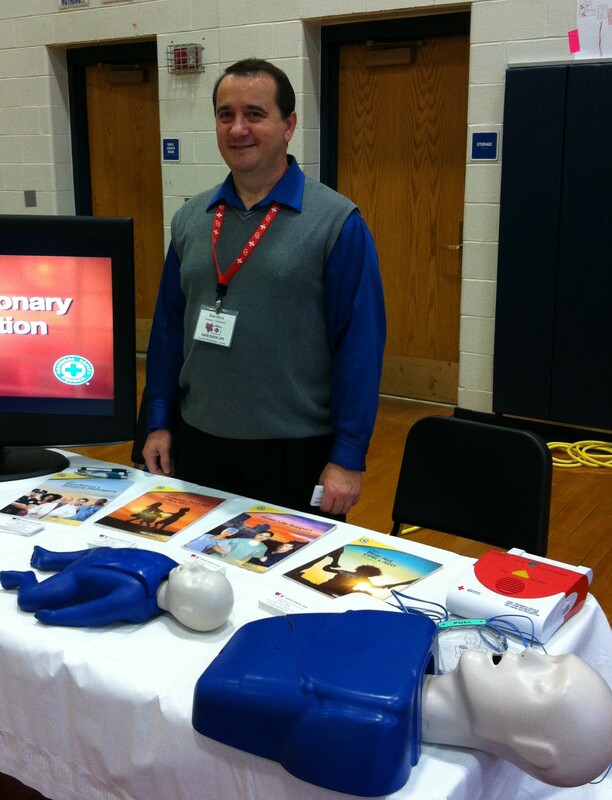 The training is based on the 2015 CPR and ECC Guidelines (the latest available) as established by the International Liaison Committee on Resuscitation (ILCOR) and published (in the USA) by the American Heart Association, and every participant who completes the training will receive a Save Each Life CPR/AED Certificate. We will take the mannequins and all necessary materials and go to your location for a hands-on training with your members and guests. The full First Aid, CPR & AED training should be about 4 – 5 hours, depending on the number of participants. For training at your location, a travel fee of $50.00 may be charged, but we can work with you if you cannot pay. The training is free, and each successful participant will receive a Save Each Life (NOT National Safety Council) Certificate. To have your group certified for free, call us today – (413) 824-9581. This is a limited time offer, first-come-first-served, and can be withdrawn or modified without notice. Learn how to cope with Alzheimer’s through someone else’s experience. Mo Grossberger cared for his wife, Jeanne, and share all this with Sue Pratt, Director of Tripp Memorial Foundation. Our location is: Save Each Life, 330 – 332 Deerfield Street, Greenfield MA 01301, Tel. (413) 774-7747. (Deerfield Street is also known as Route 5 / Route 10, and we are across from Homespun by Andy, next to Harmon Personnel). For more information, or a 15-minute presentation, call Dan Oros, Training Coordinator, at (413) 824-9581.